. 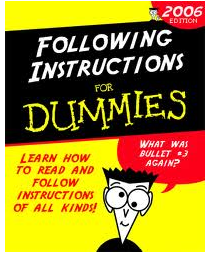 Everything you need to know is here! To Visualize effectively, it is essential that you practice - and master - this process. This is the foundation for all your future success, so don't rush ahead. If you'd prefer a step-by-step guide to Creative Visualization, without the detailed explanation, check out the basic Creative Visualization Technique. It is essential that you are in a deeply relaxed state before you attempt to Visualize. If not, your brain will be running "too fast", and you'll run into difficulties. (This is where most people fall down when they attempt Visualization for the first time). 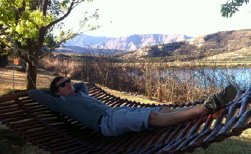 We are aiming to be in such a relaxed state of mind, that our brain produces alpha brain waves. This is because scientists have shown that in alpha we have much better access to our subconscious mind, which is perfect for Visualization. NOTE: Don't be confused by the term "alpha" - this is a totally natural state of mind, which you experience every day. In fact, your brain is in alpha whenever you take a nap. Getting to that lovely, warm place between being awake and asleep - and remaining conscious - is our aim. You can learn how to produce alpha brain waves on demand through meditation. But if you don't have the time - or the inclination - to put in the hours required to master meditation, there is another alternative: The Creative Visualization MP3. The Creative Visualization MP3 is specifically designed to gently & naturally take you into alpha. Simply put on headphones, press play, and let go… and within a few minutes you'll be in the perfect state of mind for Visualization. ---> Read my review here. Alternatively, you can get a free 10 minute sample of this MP3 when you subscribe to this site, as part of your Free Visualization Starter Kit. Here's a good process to follow to get super-relaxed. With a little bit of practice, you'll be mega-relaxed within 3-5 minutes. which comes with numerous health benefits on its own! 2) Put headphones on, and press play on The Creative Visualization MP3. Shut your eyes… and prepare to relax! 3) Start to slow down your breathing by taking several slow, conscious breaths. Pay attention as you breathe all the way in - and blow the air all the way out. Breathe through your belly, so you can see your stomach moving up and down. Do this for a minute or two. 4) Next, consciously pay attention to various parts of your body, and "let go" of the tension in each a little. So, for example, when focussing on your head, consciously relax your jaw a bit. Then relax your forehead. Loosen the muscles around your mouth. Let your cheekbones drop. Allow your eyes to relax. Then move down to your neck, allowing the tension to disappear. The same for your shoulders… and then relax all the way down your arms to your wrists and fingers. You can then let your chest, abdomen and legs relax a little more than they are. Do this for your entire body. Within a few minutes, you should feel a really pleasant "energy" circulating throughout your body, and feel a deep sense of peace and relaxation. Congratulations - you are now in the perfect state of mind and body for Visualization! achieving your goals, inside your imagination ---> It's really that simple. ... in fact, it's totally up to you, and you are only limited by your imagination. as detailed and vivid as possible. i.e. any smells, sounds, tastes… as well as objects, locations, people… what you're wearing, how you're standing, how you speak… etc etc. As Dr Maxwell Maltz noted in Psycho Cybernetics, "Details of the imagined environment are all-important… because, for all practical purposes, you are creating a practical experience". When your imagination produces movies which are vivid and detailed enough, your Visualization will be equivalent to an actual experience - which is when you invoke all of the power of Visualization. Next, imagine how you would feel if you were already acting like this in "real life". What would it feel like? 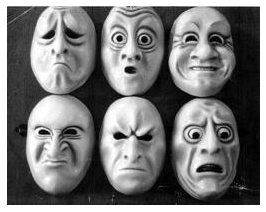 What emotions would you experience? If you are typically shy, imagine walking through a party with confidence, charm and humour. How does that feel different? If you want to be rich, imagine checking your bank account to see a balance with plenty of 0000's. What does being rich feel like? How do you feel inside? 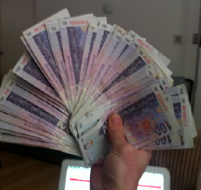 How do you feel about money now? Make sure you generate strong, positive emotions. The secret of this guide to Visualization is that you must experience the same emotions as if you had already achieved your goals for real! The key with Visualization is to see yourself acting ideally. If you want to be a better basketball player, see yourself playing like Kobe Bryant. If you want to be an awesome public speaker, imagine talking on stage like Tony Robbins. 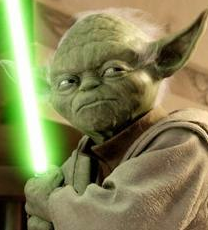 If you want to be a leading Jedi, imagine that you are Yoda!! Just say to yourself, 'I am going to imagine myself acting this way now - for 20 minutes today' "
I hope that resonates with you. Don't stress that "I'm not really like this yet!" Simply act ideally, feel the emotions, make the experience as vivid as possible… and you will build "new memories" into your subconscious mind. After practicing this for a while (typically several days to a couple of weeks) you will start to feel differently. You'll feel more confident - and you'll act in a manner consistent with your Visualization without even trying! Guide to Creative Visualization: RECAP ! Well, that's the Beginner's Guide to Creative Visualization for you. If you practice - and master - this process, you will start to experience the numerous benefits of Visualization! I hope I explained it in a clear & concise way… which inspires you to start visualising today. Thanks for your time! Remember that in addition to all the other benefits (i.e. getting more of what you want), Visualization feels really good! It makes you feel empowered, confident, self-assured… and increases ambition and self-belief! when you use The Creative Visualization MP3. This practice could fundamentally change your life… but you've gotta commit to giving it a go. Guide to Creative Visualization: NEXT STEPS ! 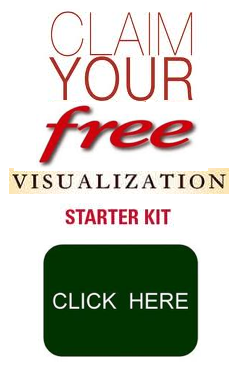 Well, feel free to help yourself to the Free Visualization Starter Kit, which contains everything you need to start a daily Visualization practice - including MP3s to get you producing alpha brain waves. Alternatively, treat your brain and go read my review of The Creative Visualization MP3 now. I hope you enjoyed the beginner's guide to creative visualization. I really want this to be the best guide to creative visualization around! When you've read this guide to creative visualization, claim your free Visualization Starter Kit. Click here.